The 2014 National Hockey League Draft concluded Saturday with alums of the Skillz Black Aces youth hockey teams doing the squad’s smiling Afro-man logo proud. Barrie Colts and Skillz alum Brendan Lemieux. Ho-Sang, who was taken Friday night in the first round with the 28th overall pick by the New York Islanders. The draft began Saturday morning with the Buffalo Sabres choosing Brendan Lemieux, a Skillz alum who’s a forward for the Ontario Hockey League’s Barrie Colts, with the first pick in the second round, the 31st overall pick. While elated to be selected by Buffalo, Lemiuex, the son of former NHLer Claude Lemieux, was disappointed that he wasn’t chosen in the first round, where some mock drafts projected him. Lemieux tallied 27 goals, 25 assists and a whopping 145 penalty minutes in 65 games for Barrie during the 2013-14 season. 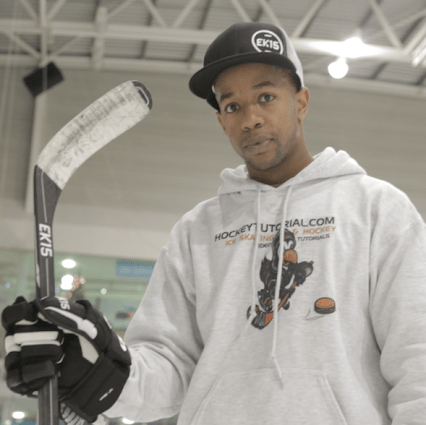 The Skillz Black Aces and Black Mafia teams began as Toronto-based summer youth hockey teams coached by Cyril Bollers and comprised of elite, NHL draft-eligible players born between 1995 and 1996 – and almost all of them black. As the program became successful, kids of all colors began filling out the rosters. A torn ACL didn’t stop Pittsburgh from drafting Skillz alum Jaden Lindo. Alums include Sault Ste. Marie Greyhounds defenseman Darnell Nurse, the Edmonton Oilers’ 2013 first-round pick last summer; Kitchener Rangers forward Justin Bailey, a Buffalo Sabres second-round pick; forward Stephen Harper of the Erie Otters; and Bellville Bulls defenseman Jordan Subban, the Vancouver Canucks’ fourth-round pick and the younger brother of Montreal Canadiens defenseman P.K. Subban and Boston Bruins goaltending prospect Malcolm Subban. Now add Lemieux, Keegan Iverson, and Jaden Lindo to the list. Iverson, a forward for the Western Hockey League’s Portland Winterhawks, was scooped up by the New York Rangers in the third round with the 85th overall pick. He registered 22 goals, 20 assists and 85 penalty minutes in 67 games for the Winterhawks. Last week, the Minnesota-born Iverson was among 42 players invited by USA Hockey to attend the U.S. National Junior Evaluation Camp, an audition for a roster spot on Team USA for the 2015 International Ice Hockey Federation World Junior Championship tournament. “Pretty exciting stuff,” Amy Iverson, Keegan’s mother, said in an email message Saturday. Portland and former Black Aces forward Keegan Iverson. Iverson barely had time to celebrate being drafted. He boarded a plane Sunday for the Big Apple to attend the Rangers prospect camp, which runs June 30 to July 4 at Madison Square Garden Training Center. Iverson didn’t attend the draft at Philadelphia’s Wells Fargo Center, preferring to watch at home in St. Louis Park, Minn., with his family. Lindo wasn’t in Philadelphia, either. The forward for the OHL’s Owen Sound Attack was trying to watch the draft on television at home in Ontario, Canada. Frustrated with the broadcast’s lag in listing drafted players, Lindo switched on his tablet to get more up-to-date results. That’s how he learned he was chosen by the Pittsburgh Penguins in the fourth round with the 173rd overall pick. 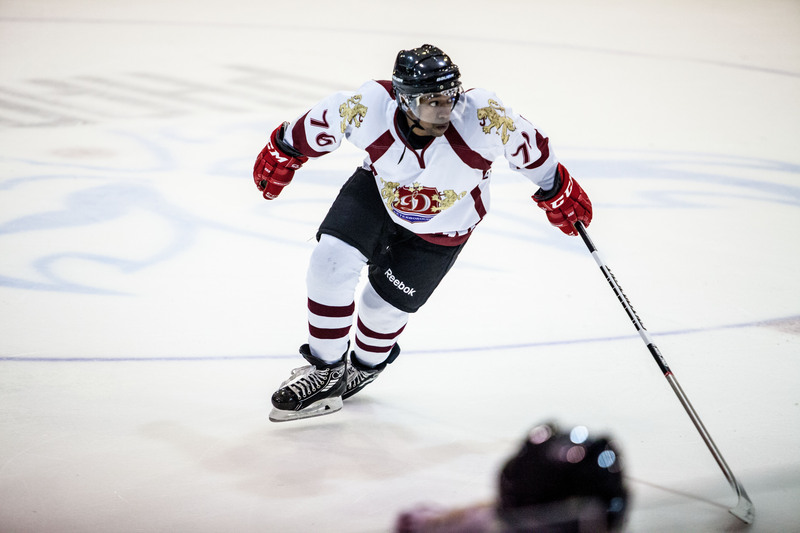 Lindo was surprised about being selected because he suffered a torn left ACL that curtailed his 2013-14 season at Owen Sound. The power forward who lists Philadelphia Flyers forward Wayne Simmonds and Washington Capitals forward Joel Ward as role models, collected 9 goals, 9 assists and 41 penalty minutes in 40 games for the Attack. The Penguins foresee Lindo becoming a Simmonds-like NHL power forward. Any comparisons to Ward and Simmonds, who led the Flyers with 29 goals last season, is fine with Lindo. Look out Brooklyn, here comes Joshua Ho-Sang. With several National Hockey League teams reluctant to pull the trigger and use a first-round draft pick to take the flashy, high-scoring Windsor Spitfires forward, the New York Islanders eagerly snapped up the 18-year-old Ho-Sang Friday night with the 28th pick in the 2014 NHL Draft. In fact, the Islanders made a trade with the Tampa Bay Lightning to get back into the first round to get Ho-Sang. Joshua Ho-Sang (left) was taken by the New York Islanders, the 28th player picked in the 2014 NHL Draft. A relieved-looking Ho-Sang walked onto the stage inside Philadelphia’s Wells Fargo Center, pulled on an Islanders jersey and happily tugged on a team cap. “It’s just such an opportunity and a moment I’ll cherish forever,” he told TSN. Many general managers were down on Ho-Sang, despite the 32 goals and 52 assists in 67 games for the Ontario Hockey League Spitfires last season. They viewed Ho-Sang as an individualistic, one-dimensional offensive machine who’s more of an electrifying highlight reel entertainer than a hockey player. They were concerned that he could not – or would not – conform his game to fit their teams. Some comments he made in pre-draft interviews this week also didn’t endear him some in the hockey establishment. Some NHL team were quoted as saying Ho-Sang was on their Do Not Draft lists. “All I was saying was that I truly believe in myself and I think if you ask any player in the draft, they do, too,” Ho-Sang said. So the son of a Jamaican father of Chinese descent and a Jewish Chilean mother with Russian and Swedish bloodlines now hopes to take his talents to New York. Ho-Sang isn’t NHL-ready yet. But he could be by the 2015-16 season when the Islanders move from Long Island’s Nassau County Coliseum – one of the NHL’s oldest arenas – to multi-ethnic, multicultural Brooklyn and the Barclays Center. When and where for Joshua Ho-Sang in 2014 NHL Draft? As this weekend’s 2014 NHL Draft approaches perhaps the biggest question is where Windsor Spitfires forward Joshua Ho-Sang will land? Most scouts agree that Ho-Sang has first round talent – a natural goal scorer with great hands, vision, playmaking skills, agility and speed. Still, on the eve of the draft it’s anyone’s guess which team will select him and in what round. In its final draft rankings, Canada’s TSN.ca listed Ho-Sang as the 30th among North American and European skaters, a 10-slot drop from the sports website’s March ranking. When and where will Windsor’s talented Joshua Ho-Sang go in 2014 NHL Draft? But Button’s assessment hasn’t stopped the naysayers from saying their nays about Ho-Sang. Some of the negatives are physical: Listed at a generous 5-11, 176-lbs he’s considered undersized by some hockey people. But being short and light didn’t stop him from tallying 32 goals, 53 assists in 67 games for the Ontario Hockey League Spitfires. He’s scored 129 points in 130 career OHL regular season games. Defense isn’t his forte, though his plus/minus was a plus-26 in the 2013-14 season. Windsor Spitfires’ Josh Ho-Sang skating for the Skillz Black Aces. Russian and Swedish bloodlines. In interviews, he’s talked about being ready to be part of the changing face of the NHL, joining the likes of Montreal Canadiens defenseman P.K. Subban and Chicago Blackhawks forward Patrick Kane, players who’ve also been under hockey’s sometimes harsh microscope. Ho-Sang hasn’t been afraid to mention race. He told The Toronto Sun “I think color definitely plays a factor in perception.” said Ho-Sang. “When I start dangling, my GM calls me a Harlem Globetrotter,” Ho-Sang told The Sun’s Steve Simmons. Why am I a Harlem Globetrotter? Analogies get related to basketball all the time with me. I don’t play basketball. I’ve never played basketball. I’m a hockey player. Why are they doing that? Apparently all of this – coupled with a six-game OHL suspension for a play that caused London Knights defenseman Zach Bell to suffer a broken leg – might be too much for some NHL teams. Simmons reported Tuesday that “numerous teams have Ho-Sang on their Do Not Draft List.” Simmons wrote that only 18 of the NHL’s 30 teams interviewed him at the NHL Combine. “And if I picked him, my scouts would all revolt,” the chief scout told Simmons. “He doesn’t fit what we’re looking for.” So much for the sports mantra of taking the best available player with a pick. The criticisms haven’t dampened Ho-Sang’s spirit or confidence going into the draft this Friday and Saturday at Philadelphia’s Wells Fargo Center, home of the Flyers. Portland Winterhawks center Keegan Iverson was among 42 players invited to the U.S. National Junior Evaluation Camp, an audition for a spot on the American team that will compete in the 2015 International Ice Hockey Federation World Junior Championship. U.S. national junior team tryout, NHL Draft await Portland’s Keegan Iverson. League talent, is Dec. 26, 2014 to Jan. 5, 2015 in Montreal and Toronto. USA Hockey officials invited Iverson to the evaluation camp two days ago. “I was really excited to find out I have an opportunity to play for Team USA again,” said Iverson, a St. Louis Park, Minn., resident who skated for the U.S, Under-17 national team in 2012-13. He drew the attention of USA Hockey officials with an excellent 2013-14 season with the Western Hockey League Winterhawks, tallying 22 goals, 20 assists and 70 penalty minutes in 67 games. Iverson, an alum of Canada’s Skillz Black Aces youth hockey teams, will have familiar faces around him at the U.S. evaluation camp. Three other Winterhawks – goaltender Brendan Burke and forwards Chase De Leo and Dominic Turgeon – are also auditioning in Lake Placid to audition for spots on the U.S. squad. Nashville’s Seth Jones, former Portland Winterhawks and U.S. junior team star. The Winterhawks have been a talent incubator of sorts for junior championship teams. USA. Former Portland defenseman Seth Jones, who completed his rookie season with the Nashville Predators last April, played on 2011, 2012 and 2013 U.S. national junior squads. Winterhawks defenseman Mathew Dumba, the seventh overall pick in the 2012 NHL draft by the Minnesota Wild, played for Canada in the 2014 world juniors. 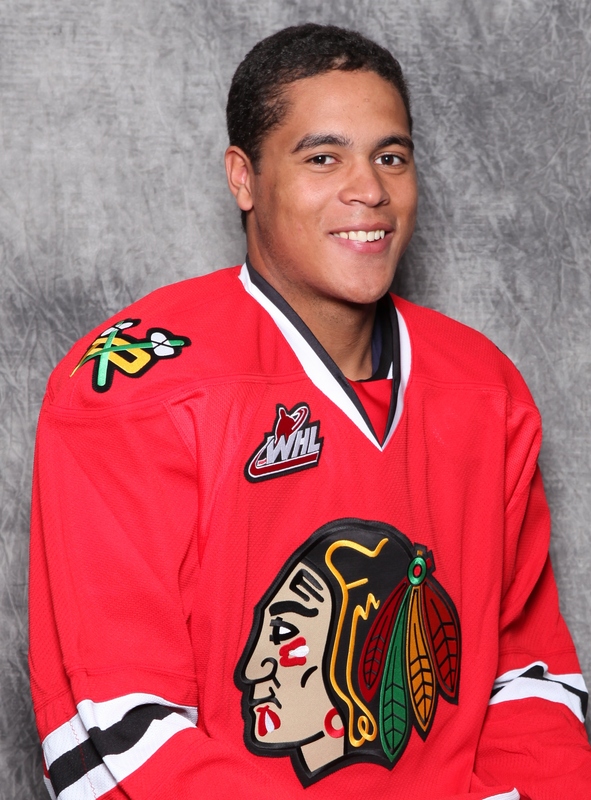 Winterhawks’ Mathew Dumba, a Minnesota Wild 1st-round draft pick and 2014 Team Canada national junior team member. he’ll be glued to the television waiting to see which team selects him in the 2014 NHL Draft in Philadelphia. He’s ranked as the 85th-best North American skater by the NHL’s Central Scouting Service. Iverson said watching the draft at home may be nerve-racking, but it’ll be a breeze compared to going through the grueling NHL Combine strength and endurance camp in Toronto last month. It’s getting to be a habit for Los Angeles Kings defenseman Alec Martinez, one that Kings fans hope he never breaks. Mr. Overtime, Alec Martinez of Los Angeles Kings. seasons. It’s the second time this month that Martinez has been the man of the moment: He scored the Game 7 overtime goal that defeated the Chicago Blackhawks 5-4 and sent the Kings to the Stanley Cup Final. And proving that things do indeed happen in threes, Martinez scored an overtime game-winner in his freshman year at Miami University of Ohio that defeated Western Michigan University and sent the RedHawks to the Central Collegiate Hockey Association championship in the 2005-06 season. Overtime heroics don’t seem to get old for Martinez. Neither does winning. Martinez’s playoffs and Stanley Cup Final heroics have sent people scrambling to Google and other search engines to learn more about him and his heritage. Los Angeles Kings defensemen Alec Martinez didn’t see it but realized he must have done something good, judging by the excited reaction of forward Jarrett Stoll and the rest of his Kings teammates. L.A. Kings defenseman Alec Martinez. Seconds later, Martinez realized that he had just score the overtime goal that pushed the Kings to a 5-4 victory past the Chicago Blackhawks Sunday night and propelled Los Angeles to the Stanley Cup Final against the New York Rangers. Game 1 is Wednesday night in Los Angeles. The goal past screened Blackhawks goaltender Corey Crawford at 5:47 of the overtime frame was the latest up in a rollercoaster ride for the Kings in the playoffs. L.A. has rolled Lucky Sevens throughout the playoffs – winning all their series in seven games. They’re the first NHL ream to play 21 games through the first three rounds of the playoffs to reach the Final. The Kings now turn their attention to goaltender Henrik Lundqvist the Rangers, a well-rested team that eliminated the Montreal Canadiens last week in six games. “Great goaltending. Great defense. Great forwards. Great special teams,” Kings Head Coach Darryl Sutter said of the Broadway Blue Shirts. Chris Kibui’s hockey reality began with a Hollywood fantasy. Chris Kibui, from self-taught to teacher. And how. These days Kibui is all hockey, all the time, sharing his basically self-taught knowledge of ice skating and hockey in a series of YouTube videos and on his Web site, www.hockeytutorial.com. The 214 videos shot over four years chronicle his hockey journey from a late-bloomer novice ice skater to a swirling dervish with hockey stick in hand. Kibui’s work has attracted a following. His videos have generated millions of YouTube views worldwide over the last few years, lured 18,000 subscribers to his Hockey Tutorial YouTube Channel and 15,000 subscribers to his hockeytutorial.com Web site. He believes the videos have caught on because they give beginning adult skaters and hockey players an inspirational push from a guy who’s striving to learn the game in a country where ice hockey is an afterthought. Growing up in East London, Kibui didn’t put on a pair of ice skates until he was 16. Getting around the ice as a beginner was tough for Kibui. Getting help and tips from more experienced skaters at his local rink was even tougher, he said. That’s when the light bulb clicked on in Kibui’s head. Chris Kibui in action with the Peterborough Dynamo. Feeling confident in his skating abilities by age 20, Kibui felt ready to give hockey a try. Only problem was there weren’t that many players around to teach him. A nation of nearly 64 million people, Great Britain has 2,289 male ice hockey players, 3,815 junior players, and only 694 female players, according to International Ice Hockey Federation statistics. While Kibui was doing his self-help hockey thing, his English mates were scratching their heads. Kibui’s avocation has become his vocation. He quit his day job at Apple to dedicate all his time to the Web site and videos that he works on with his friend Dan Fry, the technical mastermind behind the enterprise. They’ve forged business relationships with hockey-related companies and they also sell hockey training items and jerseys on the Hockey Tutorial Web site.